Welcome to Paris! 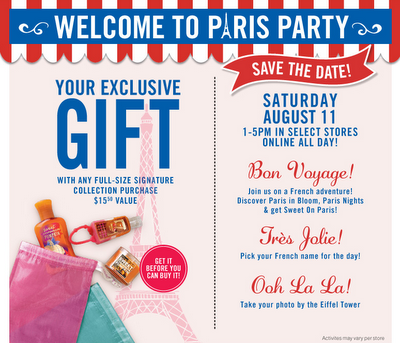 Bath and Body Works is having a huge sale in store and online to help launch their new French inspired scents! Make sure to visit and be French for a day! All stores will have different events, but some include taking your photo next to the Eiffel Tower, exclusive gifts, and more! 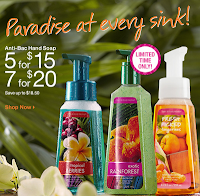 7 for $20 hand soaps at Bath and Body Works! Spring/Summer scents already! 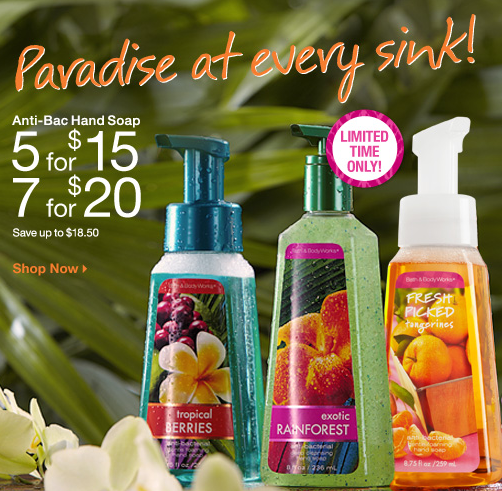 20% off Bath and Body works this weekend. Print off your coupon or shop online. They still have 2 for $20 candles!